There are people who are using the repeaters on a daily basis who are not SARS Members, which is fine - but if they find them useful all we would ask is that they consider donating to the ever increasing cost of their upkeep. Repeater coverage locally is good - pretty much all of the county is covered from one or more of the local repeaters. There is activity on the repeaters throughout the day, but as is expected - peak usage is usually morning/evening commute times. 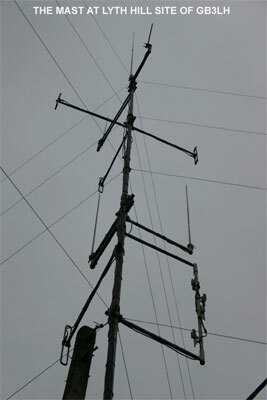 With the exception of GB3TF, which is managed by the Telford club, other repeaters in and around Shropshire and the Powys border are managed by the Repeater Management Group, a subsection of the Salop ARS Committee. The repeaters are funded by donations from the Shrewsbury and Powys clubs. As many of you will know S.A.R.S is responsible for the Local Repeater Group and you may or may not have heard that the site owners have had energy meters installed at the L.H Site and we now have to pay for the meter rental and electricity used. This means we face a huge bill as the meter fixed rental is very much greater than that of the electricity we use. For this reason we are asking all those who do use our Local Repeater's Please do make a donation to the upkeep of this service the Site rental and upkeep grows ever more expensive.